At the end of the 1990s and the beginning of this century a company or companies called Hartblei produced a number of lenses that were based on the optical elements manufactured by Arsenal in Kiev, Ukraine for Medium Format camera lenses. 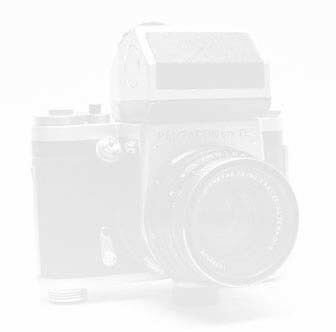 The first impression of Hartblei equipment is that it is better than the equipment of the Former Soviet Union (“FSU”), but still way behind the standards of Carl Zeiss Jena and Schneider-Kreuznach. (although no filters were supplied with the lens that I received from its previous owner). 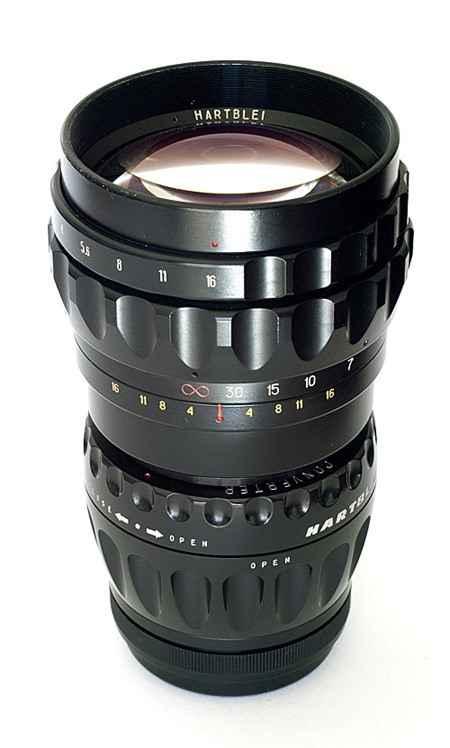 Like the 150mm Kaleinar/ARSAT lens whose optical elements it uses, the Hartblei 150mm MC lens focuses from infinity to 1.8m and has an aperture ring that has détentes at half-stop intervals from f/2.8 to f/16. 2. 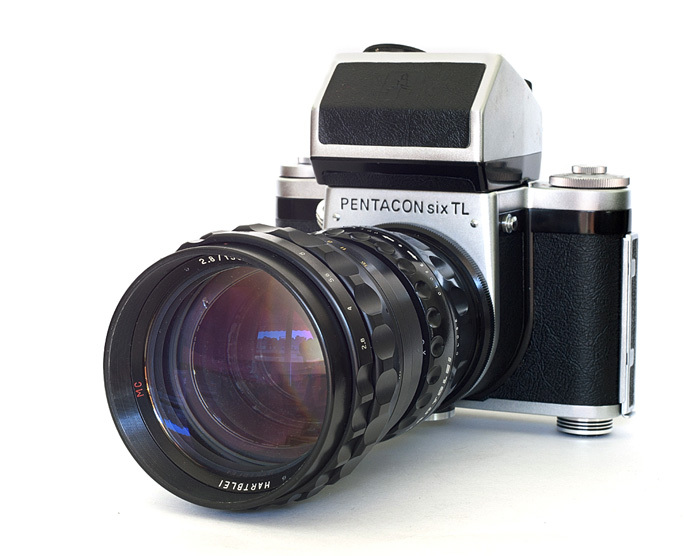 Non-implementation of the full Pentacon/Carl Zeiss Jena specification or tolerances means that most of the time the lens does not open to full aperture, because the FAD (fully-automatic diaphragm) pin is too short, so even though the lever in the camera throat presses the pin in, it does not go far enough to open the lens fully. To all intents and purposes, therefore, the lens has a maximum working aperture of f/3.5 or even f/4, for focussing purposes. It only opens fully to f/2.8 if you are actually shooting at that aperture, which will be rarely. 3. There is no DOF (depth-of-field) lever – so stop-down metering with a Pentacon Six or Exakta 66 is difficult and in most circumstances impractical. It also means of course that you can’t check the depth of field, unless you are using a Kiev 60, which has a DOF lever built into the camera body. 4. The rear lens cap is too shallow and presses on the aperture pin, resulting in permanent pressure on the aperture spring whenever the lens is stored off the camera. This can only be harmful. Even the newer rear lens caps from the FSU have very nearly solved this problem by being deeper. 5. 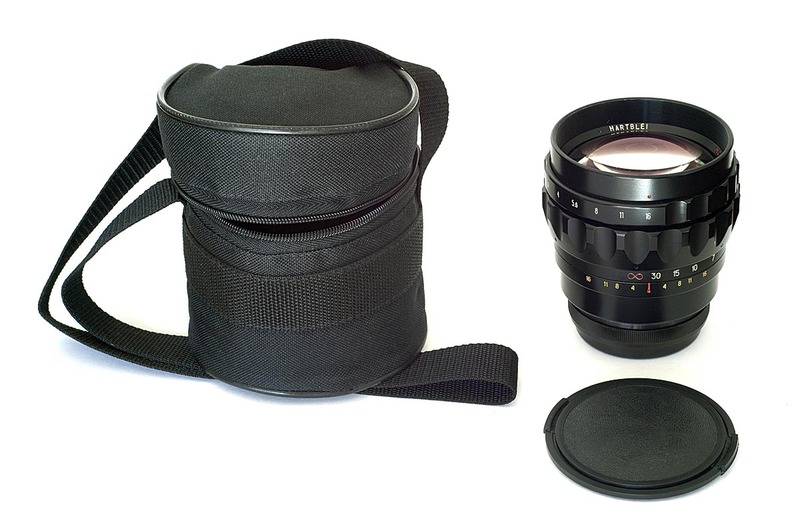 No lens shade (hood) was provided with the lens – although the filter size is the same as on the 150mm Kaleinar or Arsat lens (82mm), and so the lens shade from that lens can be used, if you can find one – they are extremely scarce! 6. The inside of barrel (which is of course black) has been scratched during manufacture or assembly, revealing bright metal marks between the elements. These must risk reducing contrast or degrading the image in other ways. You can read a review of the performance of the 150mm Arsenal Kaleinar lens here. In conclusion, it seems to me that at the end of the 1990s and the beginning of the 21st century in the areas of both design and manufacture, Hartblei and its staff had not yet overcome the mind-set of 70+ years of communism. The known defects of the Kaleinar should have been designed out, and scratched components should never have been included when assembling a lens. This is not a question of quality control after the lens has been assembled, but of the standards required during assembly by all staff. While results with the Hartblei lens and converter are not likely to be on a par with those from the superb Zeiss lens, with the lens stopped down in many cases they are likely to be very acceptable and at normal degrees of enlargement may often be indistinguishible in quality from those with the Sonnar lens. One of the limitations of the 150mm Kaleinar (and Hartblei!) is that the minimum focussing distance is 1.8m, not close enough for head-and-shoulders shots, a serious flaw in the design of a lens with a focal length suitable for portrait photography, in my opinion. Using a 2× converter will not reduce the minimum focussing distance, but it won’t increase it either, so in many situations the result is more than acceptable, as half of the width/height of the subject is included in the image area at the same distance. Also, for what is effectively equivalent to a 300mm lens, a minimum focussing distance of 1.8m is extremely close. For comparison purposes, the minimum focussing distance of the Carl Zeiss Jena Sonnar is 4 meters. I decided to take a 150mm lens with me on a trip to Italy, and initially intended to take this lens with me. It is, after all, finished to a much higher standard than the normal Arsenal Kiev Kaleinar lens on which it is based. However, it is also significantly larger than the Kaleinar and heavier. Everything was going to go into a carry-on rucksack, with a Pentacon Six with 80mm lens and metering prism, the 45mm Mir-69 compact wide-angle lens, films for the trip and a Hasselblad XPAN with three lenses. The greater weight and size of this Hartblei lens was decisive: it got left behind, and I took the Kaleinar, instead. On a different trip, without the XPAN and its lenses, I would no doubt be delighted to take this beautiful lens and its matching 2× converter – although the lack of an aperture stop-down lever on this lens might mean that I would instead go for the only slightly heavier and larger Carl Zeiss Jena 180mm Sonnar. You can see a picture taken on that trip with the Kaleinar here. See more information on the Hartblei 2× converter here. To go on to the information on Hartblei and Arsat shift lenses, click here. To go back to the beginning of the lens tests, click below and then choose the focal length that you want to read about.